Since 1994, Amore International has been perfecting the art of achieving the “Ultimate Gel Nail System”. 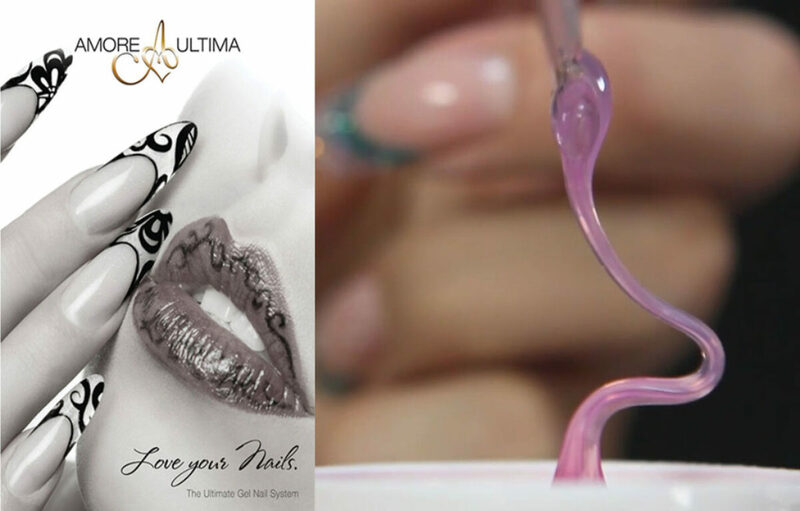 Amore Ultima Gel Nail System is a comprehensive gel nail system created for discerning nail technicians. Each component in the line is carefully chosen and tested for function and quality, creating a line of “handpicked” high performance gels. These highly pigmented gel paints can be applied in one coat for rich consistent full coverage or for any art/paint techniques. There is no top coat necessary as it cures to a high shine with NO dispersion layer, but if you want to create a more scratch resistant surface choose any of our Amore Ultima Gloss Top Gels as they adhere to shiny surfaces. Available in a wide range of colours. Full Cure Time 3 minutes. …are developed utilizing unique technology providing a patented system giving it the flow and viscosity required for a perfect result every time. At AMORE INTERNATIONAL we are committed to your EDUCATION as an Esthetician.